On 5 June, the BBC photoshopped an image of Jeremy Corbyn to include Osama bin Laden. 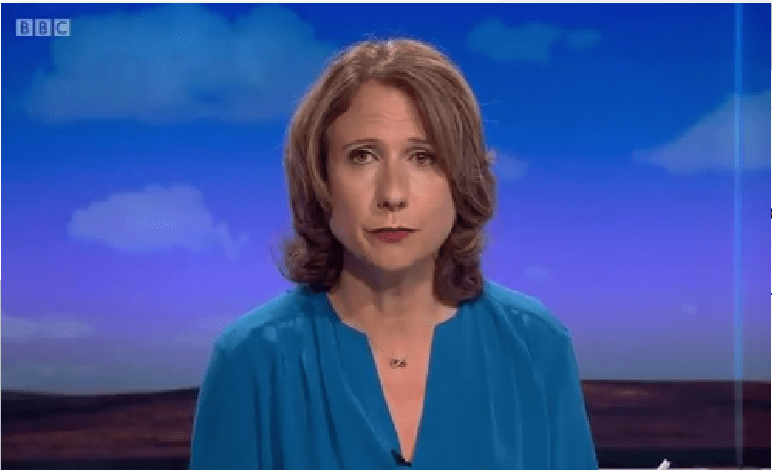 Then, it broadcast the image as part of the opening sequence on its flagship Daily Politics show, three days before the general election. And just after the UK suffered a series of terrorist atrocities. Such an image would not be misplaced in a Conservative attack ad against Corbyn. The Conservative Party has consistently tried to smear the Labour leader as being sympathetic to terrorism. But the allegations are entirely baseless. Still, our public service broadcaster apparently thought the image was appropriate. The photoshopped picture was part of a series showing how Corbyn and Theresa May have acted in relation to terrorism. Firstly, the BBC does not make clear in its opening segment that the wide-ranging vote occurred before 9/11. Twenty-one organisations are due to be banned from operating in this country, causing a great deal of disquiet in the Islamic, Turkish and Tamil communities. That is not because people support terrorism, but because they want to encourage a peace process. 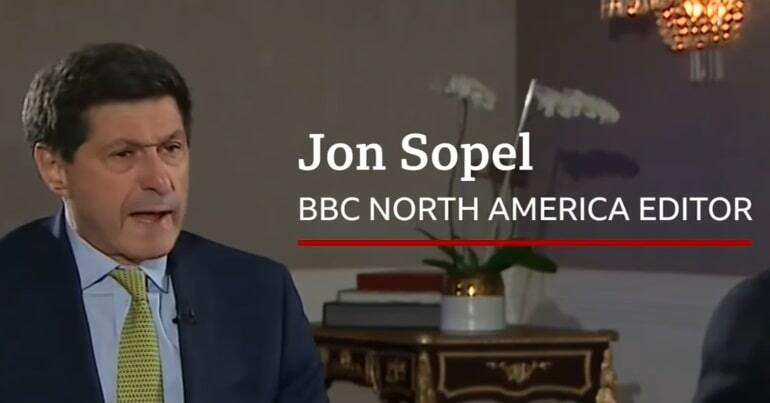 They recognise that some of the organisations are currently engaged in ceasefires in their own countries, and are actively engaged in the search for long-lasting peace that will bring about the resolution to conflict. Banning organisations and criminalising membership is a serious attack on basic rights of free speech and assembly. My opposition to anti-terror legislation isn’t opposition to protecting us from terrorism. It is simply saying there must be judicial oversight over what is done in our name. Since the war on terror was declared by the US government in 2001, the UK authorities have mounted a sustained attack on human rights, the independence of the judiciary and the rule of law. For Theresa May, the majority of slides are positive, while the two negative slides about police cuts overlap in content. For Corbyn, the majority of the slides are negative, out of context, or smears-by-association. For instance, the Labour leader saying “I’m not happy with the shoot-to-kill policy” comes from an officially discredited report from the BBC’s Political Editor. The BBC Trust found the report had not been “duly accurate”, because it took the comment out of context. Still, our public service broadcaster aired it again. People on social media have heavily criticised the introduction. Rather than exhausting three slides on police cuts for May, the BBC could have mentioned Saudi Arabia in one, for example. Recently, the Home Office tried to suppress an inquiry into terrorist funding because it apparently highlights the role Saudi Arabia plays in funding terror. May is a strong supporter of Saudi Arabia and her government recently approved £3.5bn worth of arms export licences. On the other hand, the BBC didn’t include any positive policies for Corbyn. For instance, Labour would block £3bn in the Tories’ planned tax cuts for the rich. The money would be used to increase the numbers of all 43 police forces in England and Wales. As the police are also charged with protecting industries from theft and damage, policing is essentially a public service that saves money. 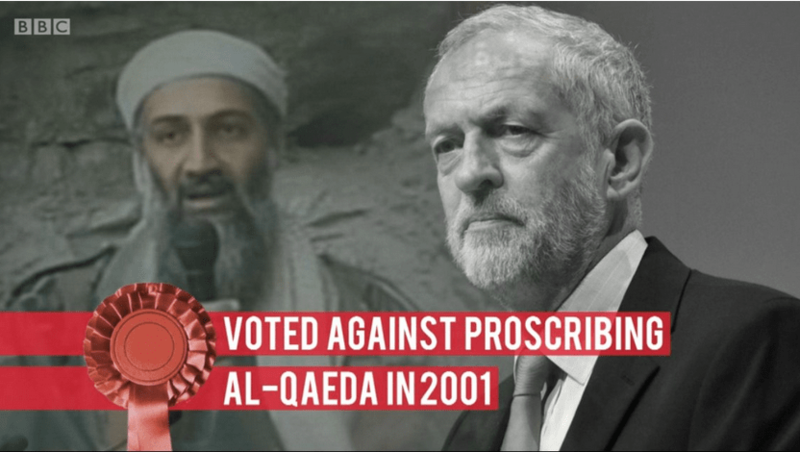 In its terrorism segment, the BBC broadcast a photoshopped image of Corbyn with Osama bin Laden. Given the flagship ‘soft on terror’ smear campaign from the Conservative Party, such behaviour is quite astonishing just three days before a general election. And even more so in the aftermath of a terror attack. Especially considering that Corbyn received the Gandhi Foundation International Peace Award in 2013. He obtained the prestigious award in recognition of his “consistent efforts over a 30 year Parliamentary career to uphold the Gandhian values of social justice and non‐violence”. The BBC, however, thought it appropriate to plaster him next to the world’s most notorious terrorist on national television. Disgraceful.